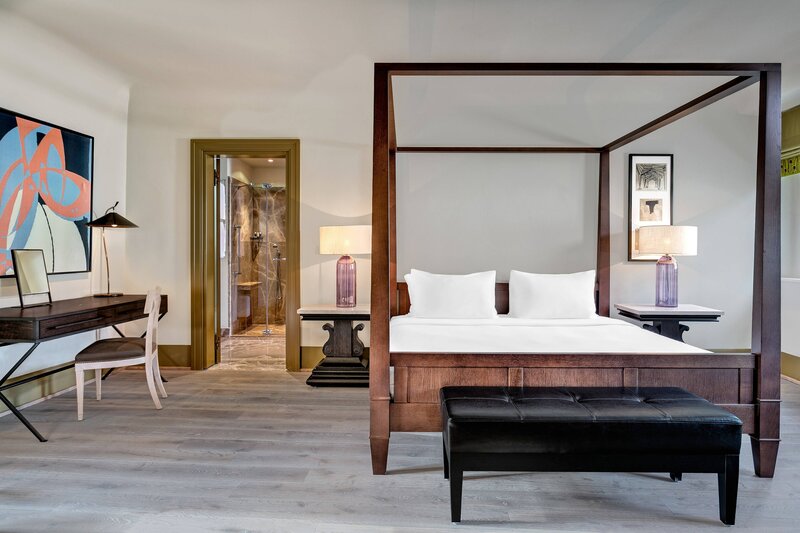 All of our rooms nuance with sophisticated architectural and structural characteristics from the vaulted ceiling and wooden beams to original doors with ornamental iron works. The upper floors of the original monastery building housed the monks&apos; living quarters and, in many cases, two or three of the &apos;cells&apos; have been combined to create the new spacious rooms. Timeless room design inspired by the history of the Augustinian monastery features contemporary Czech Cubism furnishings popular in Prague during the 1920’s and 30’s. The bedroom color schemes include green with purple accents and gray with orange accents, featuring heavy linens and velvets in papal-inspired shades of purple, red and orange. 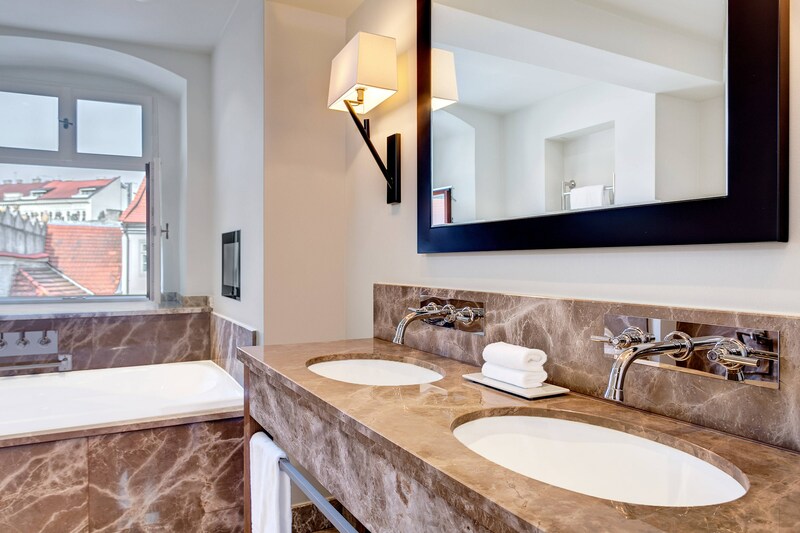 The marble mosaic bathrooms all have heated floors with the majority having spacious walk in showers and natural daylight. Our Presidential Suite obtained the World Travel Award for The Luxury Collection Brand in 2016. 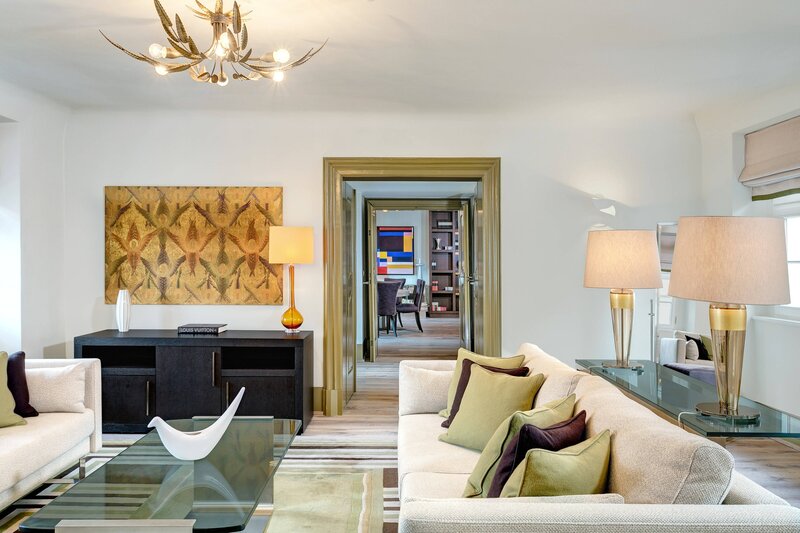 It is the most luxurious and largest suite at our hotel, offering an alluring view of the Sundial Garden.